A useful webpage summary from the British Psychological Society of the key changes with the GDPR legislation, including individual rights, the data protection principles and definitions of data subjects, processors and controllers. Links to further useful sources of information are provided. This brief paper by Andreas Lohff from Cut-e presents considerations for recruiters related to the GDPR. It includes discussion of the rights of job candidates. 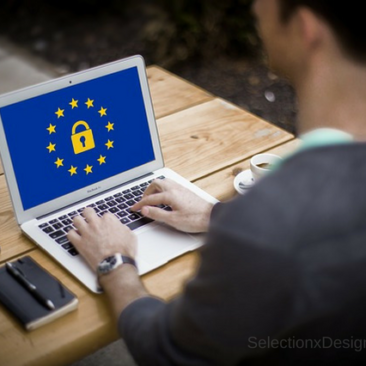 The website for the Data Protection Commission provides specific, highly detailed implications of the GDPR for individuals and organizations. It contains useful links and will be regularly updated, so may be a good resource for tracking new developments. The term 'psychological contract' refers to the tacit set of expectations that guide an employee-employer relationship. A psychological contract develops in addition to the more formally stated contract of employment. It is an unwritten, yet implicitly understood set of promises about the relationship between the employee and the employer. It may include a wide range of elements, such as level of support for career progression, opportunities for promotion, potential benefits, expected overtime, or the nature of the work environment. The employee and the organisation each have their own understanding of what is agreed upon. When their perspectives are at odds, problems may arise. Psychological contracts are unique to each employee. They begin to form during initial contact with a potential employer, and continue to be updated and revised based on experiences with the organisation and its members. Both intentionally shared and unintentionally acquired information feed into an evolving set of employee expectations. Over time, these are evaluated as having been met or unmet. For example, has the chance to work on challenging new projects materialised over the first year of employment? A breach of the psychological contract may lead to poor employee reactions. For example, if there are inconsistencies between formal stated policies and observed management practice, a potential for mistrust on behalf of the employee arises. If opportunities for career progression within the organisation do not materialise, expectations are unmet. Psychological contracts can lead to positive or negative attitudes and behaviours, depending on whether they are upheld or breached. Met expectations and kept promises provide the basis for developing a relationship of trust and respect. Breached contracts can result in feelings of violation (Robinson & Morrison, 2000). A meta-analysis by Zhao et al. (2007) indicated strong links between contract violations, job satisfaction, organisational commitment and turnover intentions. Additional significant links were found with job performance and organisational citizenship behaviours. These are key workplace outcomes, and the target of many occupational interventions. Their importance signals the essential consideration of whether employee expectations are realistic enough to be met as they are brought on board as new organisational members. It is also vital to monitor changes in contract perceptions over time, because they continually evolve. As an organisational newcomer transitions to becoming a full member, do they continue to believe promises are have been kept? Psychological contracts affect how employees feel about their organisation, and their willingness to exert effort on its behalf. It is essential that this commonly overlooked aspect of the employer-employee relationship is acknowledged and effectively addressed. So, what can organisations do to help ensure their employees’ psychological contracts hold true? 1 - Ensure employees are treated fairly. Make efforts to uphold any promises that have been directly made or even implied. This needs to happen from the moment of initial contact with potential employees, even when advertising jobs. 2 -Create a culture of honesty and trust. Actively create an organisational culture where honesty is practiced and trust is a key component of the employer-employee relations. An unintentional breach of psychological contract may have fewer negative repercussions if it is understood to be a once-off occurrence. This is especially true if reasons for a breach are openly explained. 3 - Promote communication between employees and supervisors on promises and expectations. The psychological contract should be acknowledged as an influence on the developing relationship between employer and employee. Open discussion about expectations, whether they are being met, or why they have been breached both validates the importance of employee perceptions and provides an opportunity for building a sense of trust. 4 - Carefully consider the feasibility of any promises made to employees. This is consistent with an emphasis on honesty within the organisation’s culture. Rather than offering job candidates the sun and moon, promise only what is actually possible. This is in line with providing a realistic job preview, and will greatly improve the chances employee expectations are met. How do psychological contracts relate to psychometric testing? Since psychological contracts begin to form during recruitment and selection, interactions with the organisation at this early stage will affect them. Honest communication about reasons for testing, how scores will be used, and the way in which results will be communicated can help to foster a sense of respect and trust. This may help maximize candidate reactions to the testing process. Psychometric testing, such as personality assessment, may be an on-going feature of team building, career progression and leadership development throughout an employee’s tenure.Previously met expectations may foster a belief that test results will be treated sensitively and respectfully. This may promote a willingness to honestly engage with assessments. A sense of trust may improve an employee’s receptivity to feedback. 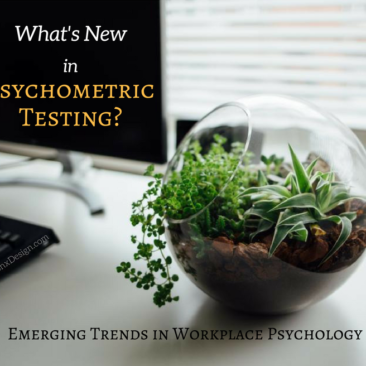 The success of employee development programmes that include psychometric testing depend on the participants’ perceived relationship with their organisation. I would love to hear from you about your own experiences with psychological contracts, or any research you may doing on this fascinating topic. Best wishes, Barbara References Robinson, S.L.& Morrison, E.W. (2000). The development of psychological contract breach and violation: A longitudinal study. Journal of Organisational Behaviour, 21, 525-546. Zhao, H., Wayne, S.J., Glibkowski, B.C. & Bravo. J. (2007). The impact of psychological contract breach on work-related outcomes: A meta-analysis. Personnel Psychology, 60, 647-680. Maximizing engagement means motivating the candidate to work earnestly and honestly as they complete their test. People need to see the value of putting effort into testing, and to consider potential outcomes of psychometric assessments worthwhile. To maximize engagement, make sure that the process and purpose of the test is understood. Build trust on behalf of the candidate that assessment will be accurate, fair, and useful in identifying the best applicants. If you’re familiar with psychometric qualities, you may recognize this as another way of saying the test should be standardized, reliable and valid. It’s up to you to communicate these qualities to your test takers in non-technical terms they’ll easily understand. Consider candidate reactions to assessment, too. People are most likely to engage with a test that has both face and faith validity. Face validity refers to whether or not the test appears to be a good measure for its purpose. Does it look the part? Faith validity is the test taker’s belief that the test really does what it claims to. Again, this is about the person’s impression of the measure. Face and faith validity are both subjective reactions that can make a significant difference in how a test is undertaken. It's also helpful to explain clearly why candidates should respond accurately and truthfully when completing a test. This can include emphasizing why and how the test results will be used. For example, you can let the test taker know that scores will help assess whether he or she is a good match for a position. You can explain how this benefits the individual as well as your business. Measures to prevent cheating, faking or lying on psychometric assessments can also be incorporated. There's a lot that can be done here, ranging from requiring a signed honesty contract to analysing response patterns and statistics for computerized tests. An honesty contract requires signed agreement from the test taker on conditions such as completing the assessment independently, and responding truthfully. 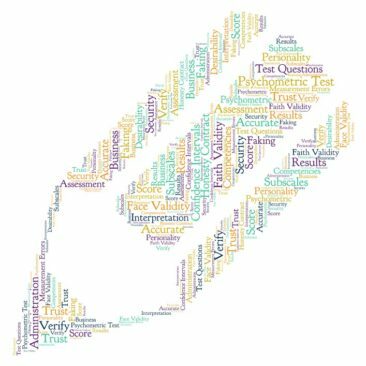 If tests are administered on-line, potential analyses of responses include overall time taken for the test, time spent on each item, and incorrect vs.correct answers to questions which vary in difficulty. Sanderson, Viswesvaren and Pace (2011) provide more detail in their discussion of ways to detect cheating on unproctored internet tests. For complex personality assessments, subscales are typically included to detect social desirability or faking. Scores on these subscales are examined to evaluate potential misrepresentation when answering test questions. The way a test is administered affects the accuracy of results. Consistency and control over the assessment processes help to keep unwanted influences from affecting test scores. “Measurement error” is the term used to describe unplanned or uncontrolled influences on test scores. Anything about testing circumstances may fall into this category. Losing power when completing an on-line assessment is a clear example. Other measurement errors could include a noisy or badly lit room, an unprepared administrator, or an exhausted test taker. Psychometric assessments typically have specific and standardized instructions for administration. These may include time allowed, a script for introducing the test, appropriate methods for administration, and ways to maintain security and maximize honest responding. Strictly adhering to these guidelines helps to ensure recommended procedures for testing are in place, and maximizes the opportunity for accurate measurement. We talk a good deal about the need to treat scores as hypotheses on our Test User courses. It is essential that apparent results are supported with verifying information. For selection, this could include examining competencies through structured interviews. Ratings from others who know or work with the test taker can be used as part of 360 degree feedback for development. Candidates themselves can provide useful perspectives, including the way that they approached assessment, and how they feel they performed. This may take place through an interactive, two-way discussion following assessment. Information shared by the individual can help to indicate whether they were focused, motivated and optimally engaged in test taking. If so, their scores are more likely to indicate their true attribute levels. Explain the purpose of testing and how results will be used. If you don’t tell candidates exactly why you’re using tests, what you intend to measure, and how their results will fit in to the selection process, you’ll leave them guessing. You’ll also risk demonstrating a serious lack of respect for the candidate. A better approach? Remove all mystery surrounding assessment. Convey to the candidate the careful planning that goes into the assessment portion of recruitment, and that it will be professionally conducted. Take the time to ask if there are any questions, and if there are, be sure the candidate understands your answers. Consider the face validity of the instrument you’re using. Be sure the test you’re using looks the part. Does it appear to measure what it’s intended to, and what you’ve told the candidate it is assessing? Reactions to a test will improve if the candidate feels it is appropriate and job-relevant. A mechanical engineer would question being asked to complete a clerical skills test, as an extreme example. How might a retail associate respond to a test of abstract reasoning? Assure candidates that testing will be fair. Candidates should be assured that each person taking a test has the same opportunity to perform at their optimal level. Be able to explain what processes you have put in place across administration, scoring and interpretation to guarantee fair assessment to all. For example, is standardised timing in place? What about the instructions? Will computerised scoring be used to minimize human error? Will test performance be evaluated separately from candidate background and demographic data? It is essential that candidates are asked about any unusual needs or special requirements they may have for workplace psychometric testing, and that these are considered in planning administration. Aside from addressing legal and ethical requirements, this is consistent with ensuring respectful and professional candidate treatment. 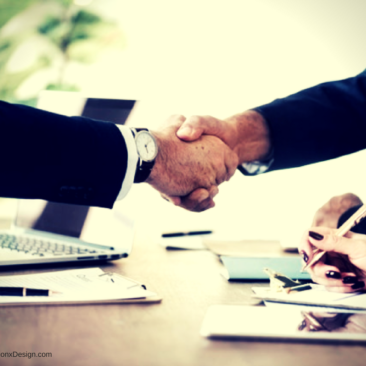 It may be helpful to have candidates sign an honesty contract prior to testing. An honesty contract provides an opportunity to clarify that they need to complete the test independently and as instructed, and the implications of failing to do so. Finally, fairness will be partly judged by candidates according to the communication they receive about test results. This is referred to as procedural justice (Gilliland, 1994). 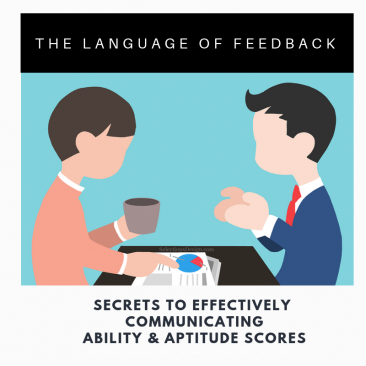 It can be improved by explaining to candidates how their test scores will be evaluated, what type of information they will receive back about their performance, and how this will be communicated. For example, will they have the chance to discuss their performance during a feedback meeting? Will they receive a detailed written report of their results? Can they find out how they performed relative to other candidates? Give candidates a chance to complete sufficient practice items and become comfortable with the testing format. Most tests include examples of sample items at the beginning. Instruct candidates to work through these items carefully, so they’re absolutely certain they understand how to find the answers or complete the responses. If testing remotely, provide candidates with a way to contact the test administrator with any questions. Knowing what to expect and how to proceed allows candidates to focus their attention on answering the questions. It can also help to alleviate anxiety, and to boost confidence as testing begins. Explain to candidates how, where, for how long and in what form their data will be maintained. This is consistent with upcoming GDPR legislation going into effect on 25 May 2018. It’s up to you to ensure the rights of candidates regarding the protection of personal data are guaranteed. Explain to your candidates their rights related to psychometric testing. Best practice in testing means guaranteeing that test takers’ rights are respected. These include areas like understanding precisely how test results will be used, and knowing how inquiries or complaints about testing will be handled. Explain to your candidates what their rights are, and the steps you are taking to ensure these throughout the testing process. This will demonstrate your commitment to treating those you are assessing, and their personal data, with respect, dignity and complete confidentiality. The BPS provides a useful summary of test taker rights in their Test Taker’s guide available here. It takes time, effort, thought and planning on the part of the testing professional or hiring organisation to address each of these areas. But the potential gains in candidate trust, engagement and motivation will result in assessment that accurately and truthfully reflects the potential of your job candidates. 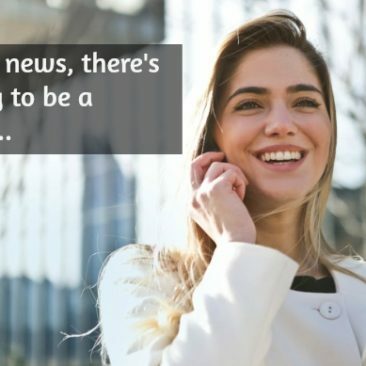 By communicating the good news about psychometric testing, you can help ensure that your most promising prospects successfully complete the recruitment process. References and readings Gilliland, S. W. (1994). Effects of procedural and distributive justice on reactions to a selection system. Journal of Applied Psychology, 79, 691-701. Nikolaou, I., Bauer, T. & Truxillo, D. (2015). Applicant reactions to selection methods: An overview of recent research and suggestions for the future. In I. Nikolaou & J.K. Oostrom (Eds.) Employee Recruitment, Selection, and Assessment: Contemporary Issues for Theory and Practice (pp. 80-96). New York, NY: Psychology Press. Would you like to find out more about candidate reactions to the selection process? You can find a useful White Paper from the Society for Industrial and Organizational Psychology here. Learn to expertly use psychometric testing as part of the hiring process through Selection by Design's training for BPS/EFPA Occupational Test User qualifications. We are enrolling now for our next courses! The BPS Division of Occupational Psychology annual conference was held 10-12 January in charming Stratford-upon-Avon. This year’s theme, 'Evolution Evolution +/or Revolution: Changing with the Times', focused on celebrating the value Occupational Psychologists offer. With no shortage of informative talks and engaging speakers, this was a great opportunity to find out about new and emerging trends in workplace psychology. Several of the presentations and workshops focused on psychometric assessments. I’d like to share with you some of the themes I noticed among these. 1. An extensive and widely varied range of assessments is now available on the market. The many test publishers present at the conference were a great source of information on new test development and directions. Tests of abilities are now a mainstay in the realm of psychometric testing, covering the traditionally measured verbal, numeric and logical areas, as well as specialized skills. There is a growing emphasis on more in-depth assessment including tests of personality, strengths, and emotional intelligence. These may be useful in identifying work roles and environments that optimally suit an individual, or provide insight for personal growth, well-being and performance. There are many different formats for reports being offered by publishers today. Depending on the test, it may be possible to obtain combined results for work team members, or multiple ratings of an individual, as with 360 degree feedback. Choice of which instrument to use may be influenced by the report options available. Knowing how well tests predict work behaviours is at the heart of justifying psychometric assessment for employment decisions. Validation research has a long-standing history, and it was fantastic to see the results of such studies being presented at the conference. The kinds of questions being examined include how well ability and personality tests related to competencies like problem solving, risk taking, creativity or motivation. There is strong interest among occupational psychologists in the potential for assessment through mobile apps. Psychometric tests that can be taken on smartphones or tablets offer flexibility and convenience. The technology for this has now arrived, and companies are beginning to offer this option. Related areas for research include comparability with traditional testing formats, consumer reactions, and potential threats to security. Gamification is gaining attention as an alternative means of assessment. The potential for measuring areas such as risk taking, decision making and cognitive abilities in an engaging and interactive way holds great potential. Advantages may include greater accuracy than that achieved through self-report personality measures or typical ability tests. This is because reaction times, or responses to presented stimuli can be recorded with high precision, and over multiple trials within one single game. Also, candidates may have a positive and enjoyable assessment experience, possibly influencing impressions of the organisation. With gaming assessment applications now being developed, on-going (and fun!) research into their validity and usefulness is set to continue. If you’ve yet to complete the training required to obtain BPS/EFPA Test User qualifications, check out our recent blog series on the benefits of doing so, beyond access to psychometric tests. Part 1 addresses lesser know benefits of Test User ability training, while Part 2 covers Test User personality. Selection by Design offers Test User training throughout the year. You can find our training schedule and prices (including discounts for students) here. We receive a lot of queries on which tests can be accessed and used once you have obtained Test User qualifications. Recently I came across a new and valuable reference for identifying and locating accessible tests: the newly published British Psychological Society (BPS) “Tests available to RQTU members.” Whether you're an experienced psychometrician or just beginning to work with assessments, this is an extraordinarily useful source of information. A summary of tests that may be used with each of the 3 occupational Test User qualifications is presented, including Assistant Test User, Test User Ability and Test User Personality. A brief synopsis of what each test measures is included, along with publisher details. If you know which attributes you need to measure, options are clearly and concisely listed for you. More details on the background, uses and psychometric qualities of the tests can be found in the BPS Test Reviews. Full Test Reviews are free to RQTU members. The “Tests available to RQTU members” resource includes direct links to available, instrument-specific BPS Test Reviews. It's a very easy and efficient system for exploring qualities of any measures you're considering using. It is well worth having a look through this test listing. 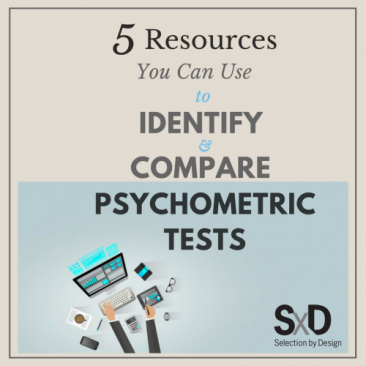 I think you’ll find it a great addition to your psychometric testing resources. Happy testing! 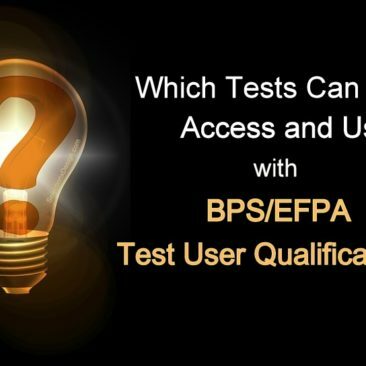 Dr. Barbara Caska If you've yet to complete the training required to obtain BPS/EFPA Test User qualifications, check out our recent blog series on the benefits of doing so, beyond access to psychometric tests. Part 1 addresses lesser know benefits of Test User ability training, while Part 2 covers Test User personality. Selection by Design offers Test User training throughout the year. You can find our training schedule and prices (including discounts for students) here. Selection by Design’s Test User Personality training leads to specialization in the 16pf®. This is a well-known, defining feature of the course. Our trainees learn to score, interpret and use this test to assist with talent management, employee development and career decisions. Just as with our Test User Ability training, though, there are gains in knowledge and skills—benefits—that aren't always obvious. 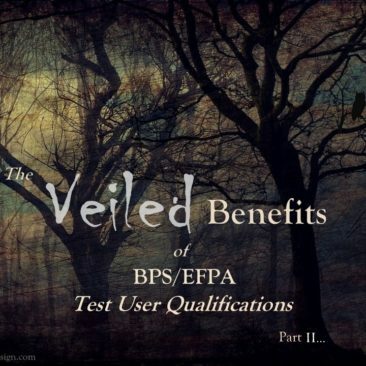 This second in our two part series on the lesser known benefits of obtaining the BPS/EFPA Test User qualifications focuses on Test User Personality training. Academic and clinical approaches to explaining personality vary in their views on whether personality remains constant from an early age, or dynamically evolves over the course of life. In the Test User Personality course, we look closely at these perspectives and consider the implications of stability vs. change for predicting behaviour. Deciding how to use the results of personality tests in work decisions depends on which viewpoint is taken. Stability implies that the person hired today can be expected to retain their valued characteristics throughout their tenure. This means that identifying candidates' personality traits can help in making good hiring decisions. If growth is possible, however, it makes sense to use personality testing in coaching, leadership and team development. For anyone working in these areas, understanding the potential nature and depth of change is essential. Selection by Design trainees have the chance to work with and learn about trait and type personality measures. Type tests like the Myers-Briggs Type Indicator® classify persons as belonging to one of several categories. As an alternative, tests such as the 16pf® measure characteristics as falling on a continuum. This means that the strength of a trait is indicted. You can be slightly extraverted, for example, or definitely introverted. As another possibility, persons might fall in the middle and behave as either introverts or extraverts depending on the situation. Traits scales offer more in-depth assessment than type scales. Trait scores may be justifiably included in selection decisions. Type categories may be effectively used in team building or career guidance. Understanding how these tests vary, and when to use each, ensures that the nature of test results suit their intended use. The content of the Test User Personality course draws upon the field of psychology when considering individual reactions to testing and result feedback. Knowing how candidates are likely to react to being tested and to feedback on their test scores is an asset when preparing to test. Anticipating and addressing potential problems means a smooth-running testing campaign. Here are a couple of examples of how psychology can be applied to testing: Example 1. Taking a test: “I’ll make a great impression!” Socially, persons present themselves to make a positive impression on others. Similar efforts may influence responses to personality test questions. Learning about the kinds of biases that may affect test responses, how to detect these and how to prevent them from having an impact is necessary for an accurate interpretation of results. The 16pf® includes scales and statistics that can be used to detect forms of self-presentation. Test User Personality trainees learn how to use these tools to see if candidates are honestly portraying themselves, and if they are not, how to deal with faking. Example 2. Receiving feedback: “This is so me!” Adopting a phrase from PT Barnum, personality interpretations can offer “something for everyone.” We are all susceptible to believing vague information about ourselves if it is presented convincingly. Phenologists, tarot card readers and astrologers might take advantage of this, but what about Test Users? An important part of feedback is verifying test results. This may be done by seeking confirming or disconfirming evidence from candidates with probing questions. Trainees practice using these methods to establish whether test scores really are what they seem to be. The Barnum effect can be avoided, as candidates are encouraged to question their apparent test scores. An accurate and realistic portrayal of personality results. Workplace assessments should provide appropriate, relevant and cost-effective information about employees. While psychometric tests are often a good choice for this, alternative ways of measuring attributes might also be useful. Our TUA trainees examine various kinds of measurement, and consider advantages and disadvantages of each. Examples include work sample tests, 360° feedback and measures of physical capacity. The potential benefits of combining data from several sources are explored. As a result, trainees know whether and how to include psychometric tests in an assessment campaign. To determine which test is best suited to a particular purpose, evidence for psychometric qualities must be evaluated. For example, if a test has to provide consistent results, reliability needs to be present. Specific types of validity must be taken into account if the goal of testing is to predict job success, or to assess understanding of certain skills. On the Test User Ability course, persons practice identifying and analysing evidence for such psychometric qualities. The result is better informed test choices. Fair testing provides each candidate with an opportunity to have their abilities assessed in a way that is objective and unbiased. For example, a fair test of computation skills should measure only the ability to solve mathematical problems. Performance should not be influenced by testing conditions, language skills, personal disabilities or unjust comparisons with other test taker’s scores. Our Test User Ability training addresses issues of fairness in the contexts of administering, interpreting and incorporating test results. Related to administration, means of establishing consistent test conditions for all candidates is considered. We also cover how to ensure candidates' special needs are identified and appropriately addressed. Towards interpreting scores, trainees find out how to choose appropriate comparison groups to assess candidates' performance. Without a clear understanding of this process, there's a risk for discrimination against protected group members. Test scores must differ sufficiently to justify selecting one candidate over another, too. Determining how to establish this is another key issue we cover. Finally, trainees learn how to guarantee test takers rights related to informed consent, data access and protection. Being able to assure clients of fair assessment means testing is likely to be legally justified and favourably received. High-stakes testing is used to make crucial decisions about individuals. In occupational contexts, this includes candidate short-listing. Best practice ranges from selecting an appropriately secure mode of administration to verifying scores through re-testing. Test User Ability training gives trainees the skills needed to ensure the best candidate decisions are made in these high-pressure contexts.